Trade Show Holograms exhibited yet another 3D holographic presentation in Las Vegas in November. A Hologram projector was used to display 3d images floating in mid air. The presentation told the history of Melling and its merger with Durabond. The APPEX 2013 show was held at the Sands Convention Center. 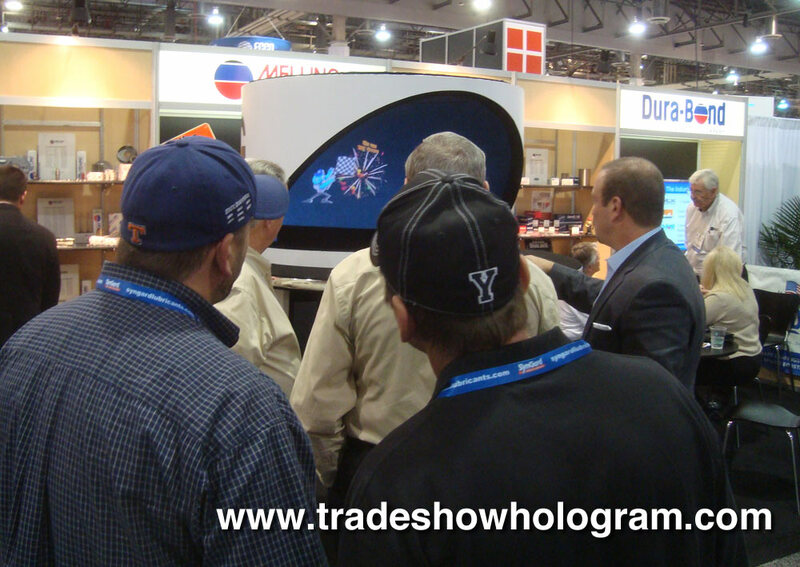 Holographic exhibits are a eye catching display sure to attract attention to any booth. This amazing special effect is available in a wide variety of sizes ranging from the standard size seen here to the life size images also available.